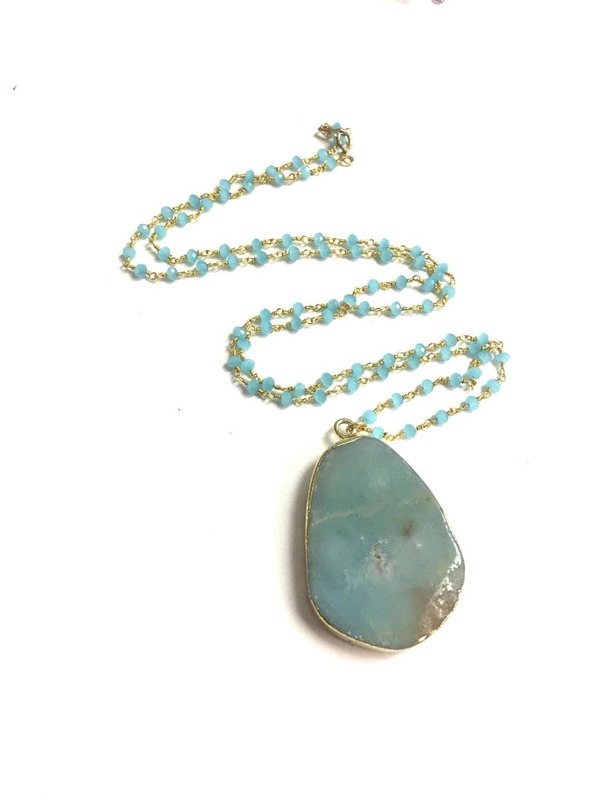 This long necklace features an amazonite pendant, graces chalcedony rosary chain. 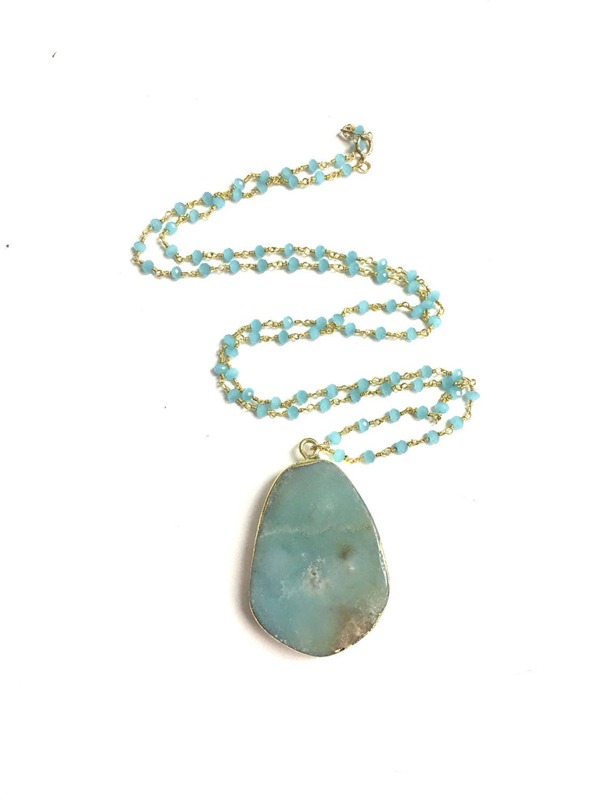 Amazonite is called the stone of courage! --Amazonite pendant, gold electroplated edging. Called the stone of courage. These are natural stones that are perfectly imperfect. Shade variation & inclusions are a natural quality. Signature Gold Bar at 18"
Love this necklace! Arrived quickly and as pictured. Love, Love, Love this necklace. I want to wear it everyday. It was packaged so beautifully and had a sweet note attached to it as well. So happy!